The thyroid gland is tasked with the production and regulation of two main hormones, T3 (triiodothyronine) and T4 (thyroxine). These hormones in turn regulate numerous body processes like energy generation, metabolism and ultimately mood fluctuations. Knowing the health-state of your thyroid glands is thus critical as you may unknowingly be experiencing hyperthyroidism or hypothyroidism which are both fluctuations from normal thyroid levels. Hyperthyroidism – This happens then there is overproduction of hormones and may result in tremors, heightened anxiety, weight loss and generally a feeling of being on a constant high. Hypothyroidism – When there are insufficient hormones being produced, and individual may experience depression, weight gain and a lack of energy. If you experience either of these symptoms, it is advisable to see a doctor for testing to ascertain the cause of your ailment. To arrive at conclusive test results, the doctor will probably order a broad scope of tests, each targeting the individual T3 and T4 hormones. These tests also reveal whether the problem lies in the thyroid’s structure or functions. With the high frequency of thyroid dysfunction, practicing physicians should be well equipped conduct the T3, T4, T3RU and TSH thyroid level tests. 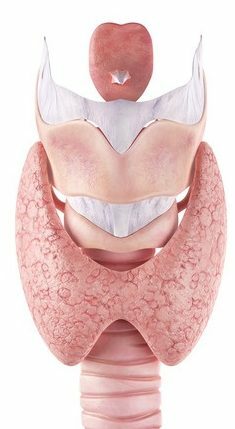 Though a tiny gland located in front of the larynx, the thyroid keeps the entire body functionality in harmony. It dictates your heartbeat, the clarity of your brain, the body’s temperature and the functioning every cell and organ in entirety. The hormones produced in the thyroid travel through the bloodstream and influence activities throughout the body. When out of balance, you may easily think it is a case of body fatigue but the loss of rhythm should be reason enough for you to worry. Though doctors are yet to agree on the normal thyroid levels, most laboratories seem to draw a clear line between high and normal thyroid levels. While high secretions of thyroid hormones result in ‘optimal’ body functions such as a good mood and appetite, in retrospect however, the body may be working too much and wearing-out its own cells. As referenced in this thyroid study, a normally functioning thyroid gland produces 20% of triiodothyronine (T3). In some instances, a diseased gland produces abnormally high amounts of T3 while still producing the healthy amount of T4 required by the body. T3 levels are assessed using radioimmunoassay using the T3 dextro isomer; this has a 99% affinity to T3 and only 1% affinity for T4. The normal range for T3 in the bloodstream should ideally be between 80 ng/dl and 230 ng/dl. This is however dependent on the antibody used and the assay conditions during the test. During this test for normal thyroid levels there is a fine line between hyperthyroid and normal patients because overproduction of T3 leads to heightened activities within the body. Test results show that patients who are hypothyroid portray normal amounts of the T3 serum while those who are euthyroid have high concentrations of T3 in their bloodstreams. For this reason, the T3 test is not conclusive enough to diagnose cases of hypothyroidism but should instead be conducted along other tests. Also measured by radioimmunoassay, this revolves around the use of the T4 dextro isomer; as a binding agent. It has a high affinity for T4 whose optimal production by the thyroid gland is 80%. Though it is naturally occurring in the body, dextro isomer is in minute quantities which are not measurable. Though the antibody has affinity for both T4 and T3, the latter’s concentration in the plasma is one fifteenth that of T4 and thus introduces negligible errors. According to a study published in 2007, Dr. Surks states, in ideal situations, the concentration of T4 in the bloodstream should be between 5 ug/dl and 12 ug/dl. Of all the thyroid tests, T4 by radioimmunoassay is the most used. After applying the corrective measures to reduce the errors, the test is referred to as T7 once it is combined with T3RU. It conclusively shows the amount of thyroxine and is reputed as the best measure for normal thyroid levels especially when the patient doesn’t take any form of thyroid medication. TRH is produced by the hypothalamus and this hormone influences the pituitary gland produce and distribute TSH. Under normal circumstances, TSH maintains a baseline of 5 but when a patient is injected with TRH, the baseline elevates to between 10 and 20. As a test that check for both T3 and T4 without specificity, patients who are experiencing excess amounts of either of these hormones do not react to a TRH injection; their TSH baseline is already in the 10-20 range indicating that they may either be suffering from hyperthyroidism or hypothyroidism. Presently, the TRH test is the best bet of detecting hyperthyroidism in its initial stages. In instances where patients depict a baseline of 40 and above after TSH injection, this undisputedly indicates hypothyroidism. Apart from testing for normal thyroid levels, the TRH test can also be used on cancer patients on thyroid replacement medication to determine whether they are taking sufficient medication. Occasionally, the test may be used by physicians to assess the functioning of the pituitary gland. A new version of TSH has led to limited use of the TRH test in many clinical settings. Using immunoradiometric assay, the method used to measure the pituitary’s production ability of TSH, spiking levels of TSH are an early indication of the onset of thyroid failure. Under normal circumstances, only low levels of TSH, lower than 5 units, are required to maintain the functionality of the thyroid gland. According to Thyroid Advisor’s article on Normal Thyroid Levels, in early hypothyroidism, there is overproduction of TSH even when T4 and T3 production remains within the normal range. The elevated TSH levels in such cases are an indication of the diminishing circulation of the thyroid hormones throughout the body and consequently, the onset of the thyroid gland’s failure. As opposed to the earlier TSH test, the new test indicates low TSH levels whenever the thyroid is overly stimulated; this response is normal as the pituitary is acting to reduce the thyroid’s hyperactivity. Since the TSH level interpretations are dependent on the thyroid hormonal levels, the new TSH test should be conducted alongside other tests like T4 and T3. This test indirectly measures TBG’s (Thyroid Binding Globulin) binding capacity. It is essential in the determination of low or high levels of T4 since patients portraying signs of these conditions may not necessarily have abnormal T4 production but rather abnormal rates of TBG. The T3RU test should be conducted alongside the T4 RIA test since there can be a false attribution of thyroid dysfunction when the T4 test is conducted solely. Patients experiencing hyperthyroidism portray saturated levels of TBG but they may not necessarily have abnormal productions on the T4. The Resin uptake is naturally high when an individual has low concentrations of TBG. As a way of assessing normal thyroid levels, the T3RU test accurately assess the thyroid’s functionality by checking for both hyperthyroidism and hypothyroidism, a feat most tests cannot achieve simultaneously. When conducted with the T4 test, the T3RU not only indicates fluctuating T4 levels but also highlights the cause of the fluctuation. Due to this, high T3RU levels indicate low concentrations of both T4 and TBG. In order to make the thyroid hormone, the gland uses iodine absorbed from the bloodstream from the food we take. The amount of iodine taken up by the thyroid is thus a means of measuring its functionality. Hyperthyroid patients are fond of taking excessive amount of iodine while hypothyroid patients take insufficient amounts of the same. A ‘Thyroid Uptake’ is used to measure the precise iodine amount absorbed by this gland; ideally, the patient should ingest radioactive iodine on an empty stomach for the physician to draw an accurate conclusion. For individuals already on thyroid medications, their glands won’t take up much iodine since the medications have turned off their thyroids. Since the thyroid may at times take up iodine but fail in converting it to thyroid hormones, it is advisable to carry out this test alongside the blood tests discussed earlier. Just as in iodine uptake scan, assessing normal thyroid levels in a patient using thyroid scan requires the ingestion of radioisotope which should then be left to concentrate in and around the thyroid; these two tests can thus be conducted concurrently. A camera scan, which takes between 5 and 10 minutes, is conducted using a gamma camera which detects the radioisotope elements in the thyroid. For a clarified image of the thyroid gland however, the CRT (Computerized Rectilinear Thyroid) scanner is the best bet. It obtains a life size image of the thyroid, making it easier for your physician to study. Since radioactive elements are used in both of these tests, pregnant women are strictly advised against taking either of these tests as their unborn child is at the risk of developing thyroid defects in the process. These two last tests are the least popular since they only provide the basic information on thyroid status without delving into the causes of thyroid dysfunctions. These symptoms are not exclusive to a deficit in normal thyroid levels and as such, consulting with a physician is the best way to find out whether you are suffering from thyroid dysfunction. Thyroid tests have advantages and disadvantages and it is important to make sure you pick the one that is right for you. Soy foods – apart from causing hypothyroidism, soy foods inhibit the body’s ability to absorb thyroid medicines. Though there is no consensus on the topic from different researchers, substantial research suggests that those at a high risk of developing thyroid disease should avoid soy foods. Exposure to radiation – radiation causes all forms of cancer including thyroid cancer. 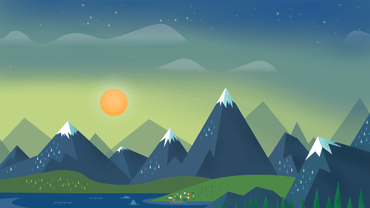 The Chernobyl nuclear accident is a true depiction of this. Exposure to surgical antiseptic – as much as the antiseptic cleans, exposure to open wound during surgery has far-reaching consequences. The knowledge of these and more ways to prevent thyroid diseases is invaluable and can be derived from blood tests conducted by seasoned physicians. Thyroid tests that require the intake of radioactive isotopes such as iodine uptake scan and Thyroid scan are inherently dangerous to unborn infant. This means that pregnant women cannot undertake these options even when it is in their best interest. They run the risk of exposing their unborn to development defects. Blood tests conducted have to be counter checked alongside other tests since none of them can give accurate results on its own. Lab experts will thus take up a considerable amount of time before knowing the precise cause of thyroid disease in women. They all have their limitations as there is yet to be a development of a single test which assess normal thyroid levels independently. Statistically, women are 6-8 times more likely to develop thyroid diseases than men. Checking with your physician for normal thyroid levels is highly advised as you will be in a position to take precautionary or corrective measures as advised. According to the American Thyroid Association, close to 20 million Americans suffer from thyroid disorders. 60% of patients are even unaware of their condition. The good news is most thyroid conditions respond well to treatment. People with hypothyroidism use Armour Thyroid and Synthroid to treat these conditions. Armour Thyroid is made from the thyroid glands of pigs. It contains levothyroxine (T4) and liothyronine (T3). Its inactive ingredients are dextrose, calcium stearate, opadry white, sodium starch glycolate, and microcrystalline. The drug is an effective cure for an underactive thyroid and works by replacing or supplying more thyroid hormone. It is completely natural. Levels of thyroid hormone can decrease naturally or when the gland is surgically removed or harmed by medication/radiation. Thyroid hormone is vital for optimal health. It helps you to maintain physical and mental activity. It also helps children to develop physically and mentally. Armour Thyroid not only treats hypothyroidism, it also treats other medical conditions like goiter, nodular thyroid disease, and thyroid cancer. Your dosage depends on the nature of your condition, lab test results, and how your body reacts to Armour Thyroid. Age and weight determine dosage for child patients. Take the medicine orally, once a day, 30 minutes or 1 hour before breakfast. This thyroid hormone is usually given orally but may be administered intravenously if a patient is not able to take it orally – like those suffering from myxedema coma. Armour Thyroid should not be given intramuscularly as it is not properly absorbed by the body. For the best results, use the drug regularly. Take it at the same time every day so you don’t forget. Remember that thyroid replacement medication is taken for life. Do not stop taking it without seeking medical advice. This list is not exhaustive. If you notice other side effects that are not listed here, seek professional advice. If you are allergic to pork, you may be allergic to Armour Thyroid. The inactive ingredients in the product can also trigger other allergies or side effects. If you have suffered from (or suffer from) any of the following medical conditions, tell your Endocrinologist. Don’t take this medication to treat infertility unless your condition is caused by hypothyroidism. Armour Thyroid is safe to use during pregnancy but you may need to alter your dose. The elderly may be sensitive to it and experience serious side effects. This drug functions by increasing the body’s thyroid hormone levels. It alleviates the symptoms of hypothyroidism, one of which is a slow metabolism that causes weight gain. As your rate of metabolism improves, you start losing weight. Most people who take Armour Thyroid experience weight loss. According to Thyroid Advisor, a website that contains helpful articles and thyroid supplement reviews, Synthroid is a synthetically engineered version of thyroxine (T4) that is virtually identical to the hormone bodies produce. It contains Levothyroxine and its inactive ingredients are acacia, lactose monohydrate, talc, povidone, magnesium stearate, and confectioner’s sugar. 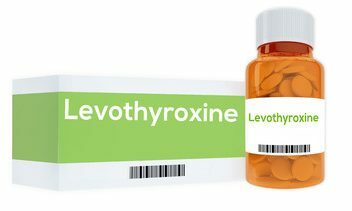 Since it has no thyroxine, the body derives the hormone from Levothyroxine. Synthroid is also used to treat hypothyroidism and works by increasing the levels of thyroid hormone. Just like Armour Thyroid, it can treat other thyroid disorders like goiter and thyroid cancer. This drug should be taken orally with a glass of water once a day on an empty stomach. Swallow a capsule whole and don’t chew, crush, or split it. When giving it to an infant, crush it and mix it with 1-2 teaspoons of water. Appropriate dosage requires tests to be conducted every 6 to 8 weeks to monitor thyroxine levels. Do not take Synthroid if you are allergic to it. If you suffer from other allergies, consult a pharmacist first. It is also important to discuss your medical history with your doctor before you start taking the medicine. Weight loss is one of the side effects of this drug. Many people suffering from hypothyroidism gain weight because the condition slows down metabolism. Synthroid corrects metabolic processes, helping users to lose weight. For many patients, weight loss is a pleasant surprise. Some patients prefer Armour Thyroid while others prefer Synthroid. While one is completely natural and the other is synthetic, they are both great cures for hypothyroidism. Consult an endocrinologist to determine the best treatment for your condition. Be sure to tell him about your pre-existing medical conditions and current medications. An underactive thyroid can be medically managed in a number of ways including the use of synthetic drugs and natural supplements. One area often overlooked by individuals suffering with hypothyroid problems is diet. There are everyday foods that can alleviate hypothyroidism and others that exacerbate thyroid function problems. When functioning normally, the thyroid gland produces thyroxine (T4) which is then converted into triiodothyronine (T3) by an enzyme called Iodothyronine deiodinase which contains selenium. Selenium is used to process the thyroid hormones. In hypothyroidism, these vital hormonal functions are reduced, causing hormonal imbalance. Sufferers of hypothyroidism can help alleviate some of these problems by following a carefully selected diet to compliment the prescribed drugs they are given by their health practitioner. Certain foods aid this chemical process by helping the production of thyroxine, or where there is a deficiency, increasing the level of selenium found in the thyroid hormone processing enzyme. Moderation and balance is the key to a healthy hypothyroidism diet and it is generally recommended that you speak to your doctor or dietician prior to making changes to your intake. Fish, such as tuna, sardines and trout are a good source of selenium, the nutrient which aids the processing of thyroid hormones. There are also other benefits with fish consumption such as its high level of omega-3 fatty acids which help brain function, inflammation and your immune system. Nuts are another source of selenium but should not be eaten in large quantities as they are high in fat. Shellfish and Molluscs such as oysters, clams, lobster, shrimp, calamari and mussels are packed with this vital nutrient. Whole-wheat Bread is another source but lower in terms of selenium per gram when compared to the sources above. Whole-wheat bread should not be consumed in large quantities or prior to taking your thyroid drugs as it contains gluten which can affect the absorption of synthetic thyroid hormones. Mushrooms are low in calories and some species are a great source of iron. They also contain selenium which is not only good for an underactive thyroid, but also for bladder function. Meat such as pork, beef, lamb, chicken and turkey are another source of selenium, protein and other healthy nutrients but these should always be consumed as part of a balanced diet as some studies have linked them to heart disease and other medical issues (particularly red meat). Sea Vegetables, including Kelp and Kombu are high in iodine. Kelp was the original source of iodine in the 1800’s and as many people with hypothyroidism have an iodine deficiency, these are great vegetable to include in your diet. Fortified Milk not only comes with the benefits of vitamin D, but is also a source of calcium and iodine. Potatoes are another source of iodine, particularly when eaten with the skin. 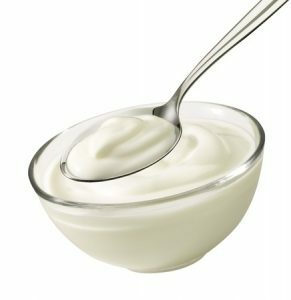 Yoghurt is a natural pro-biotic and is a great source of iodine. Yogurts can be used in cooking, with salads or just eaten on their own. No dietary recommendation would be complete without mentioning fresh fruit and vegetables. They are typically low in calories and aid weight loss. However, cruciferous vegetables, such as broccoli, cabbage, cauliflower and turnips should be taken in moderation and cooked well for individuals that have hypothyroid problems as they can interfere with the absorption of iodine. Soy and soy based foods contain phytoestrogen which can increase oestrogen levels in the body. Oestrogen could possibly interfere with the processing of T3 and T4 thyroid hormones according to some studies. Cruciferous Vegetables, as mentioned above, these can interfere with the production of thyroid hormones and iodine absorption. High fat foods such as French fries, mayonnaise and deep fried chicken can hinder the ability to produce thyroid hormones. Coffee can block the absorption of synthetic thyroid hormone replacement drugs. It is recommended that coffee is not consumed around the time of taking your thyroid medication. Alcohol is a toxin and therefore, it is recommended that people who suffer with an underactive thyroid that are on medication, should not consume it at all as it can create problems around synthetic hormone absorption as well as thyroid hormone production.